Hi there!! We are Jovenes en Movimiento. 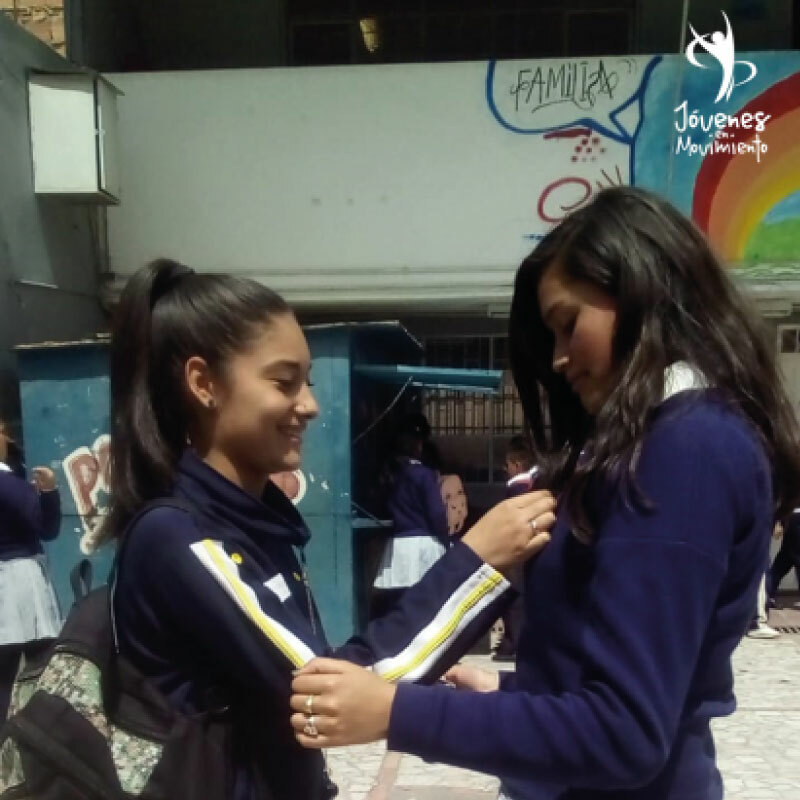 We have been working with more than 10.000 children and teens from Bogotá. 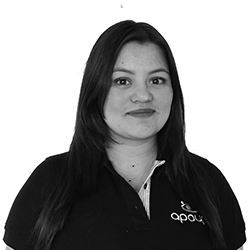 We are young Colombian Leaders that promote spaces of talent, communication and coexistence. Give us a hand with your contribution or contact us , we will wait for you. A lot of children and youngs will be grateful. Some of our activities . We are managers of change, participation, equity and citizenship. We serve with respect, love and discipline. We are the change that we want to see in the world. We are Jovenes en Movimiento!!! We highlight the importance of the different ways to see the world: The science and art, complementary disciplines, what a magic act is to build knowledge! Training with the associated and various child groups, pre-juvenile and juvenile on different artistic activities such as music, dance, theatre, plastic arts, literature, capoeira, sport and citizenship participation. Education in Sexual health and reproductive: Reflexion over the importance of the self-care and the practice of a responsible sexuality. Promotion of self-development activities, family and group integration, process of concentration, peaceful coexistence, tolerance of the difference and construction of peace. Development of programs and projects aiming to the consciousness of the young and the community in general, over the importance and citizenship responsibility of all the habitants along the territory in the management of the natural resources that can be found there. 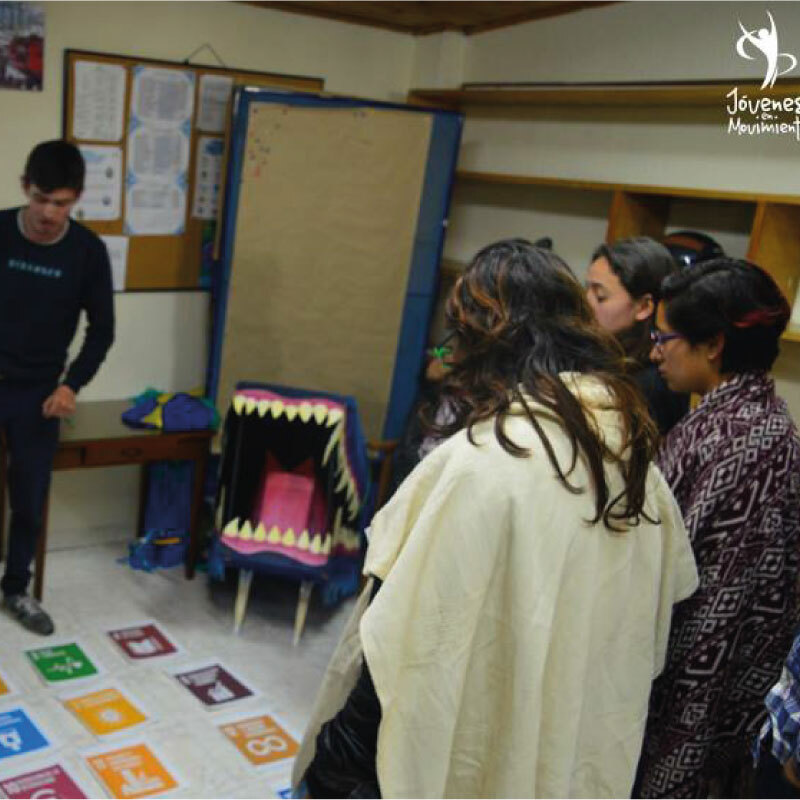 Generation of training activities for the development of skills in work relationships that allow the youth to qualify in the presentation and arguing from curriculums. Besides of opening the management in different enterprises and/or work that could lead to opportunities to receive incomes or jobs. Donations: Go ahead to help the strengthening of communitarian process and organization around the art and culture. A lot of children will be grateful. Volunteering: Become a volunteer!! This program seeks to exchange experiences and knowledge of teens, kids, volunteers and members of the organization. 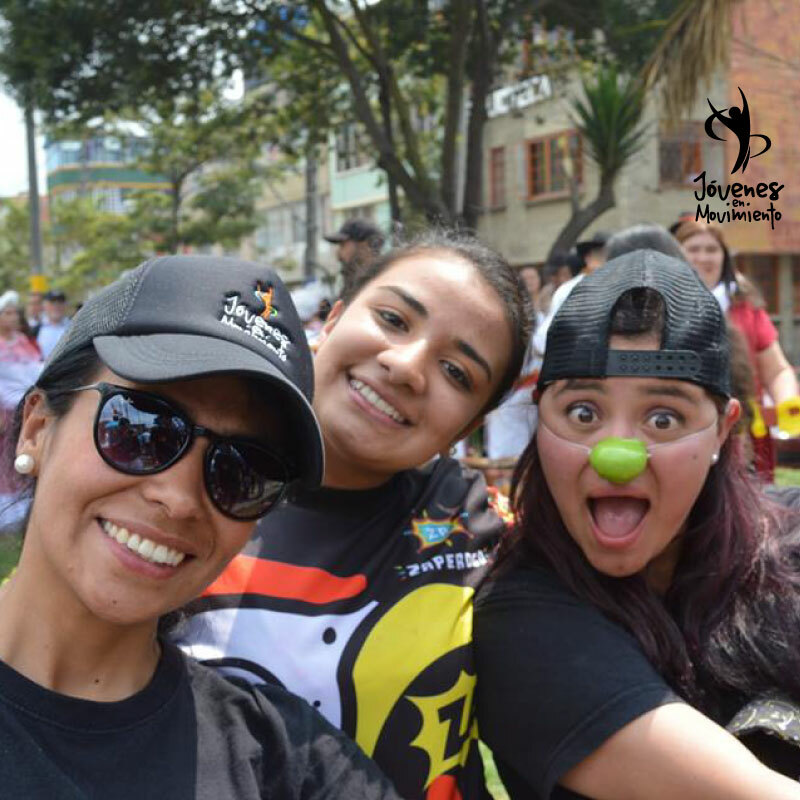 The jovenes en movimiento association is the result of a process of juvenile participation, established by the foundation APOYAR from 2010 to 2012 with young people between 14 and 24 years old, those belonging to different locations of Bogotá and Soacha. 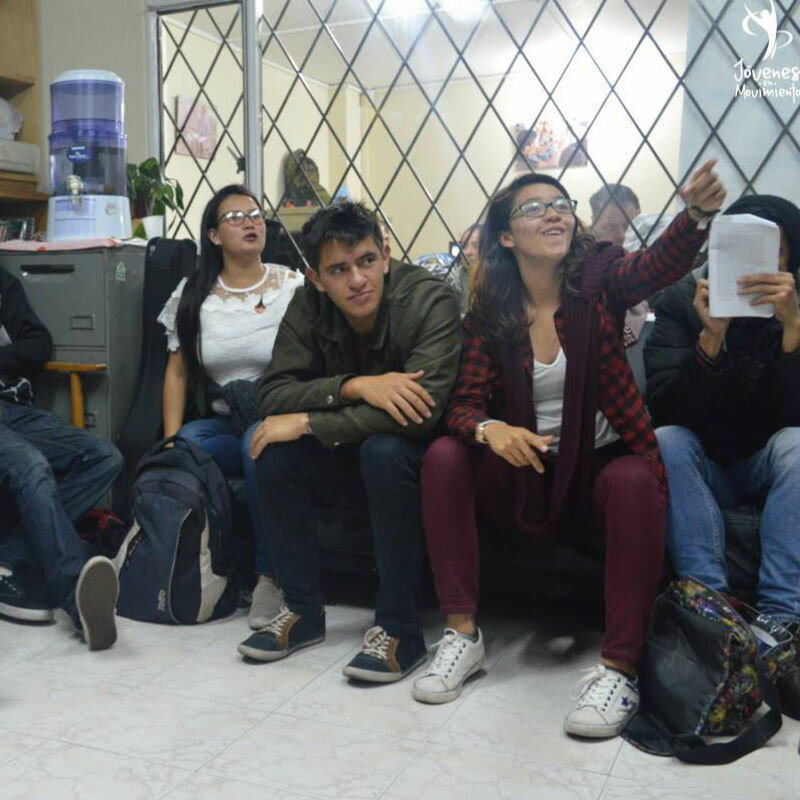 The association was born as a proposal of collective construction and participation of some young people involve in the capacitation and training in artistic activities, formation in life project, citizen participation and communitarian promotion leaded by APOYAR. We seek to impact the life of teens and their families starting from the construction of a juvenile culture that bets to the processes of coexistence and peace in the territories where the young people find their selves expose to multiple problematics and are highly vulnerable in their fundamental rights. 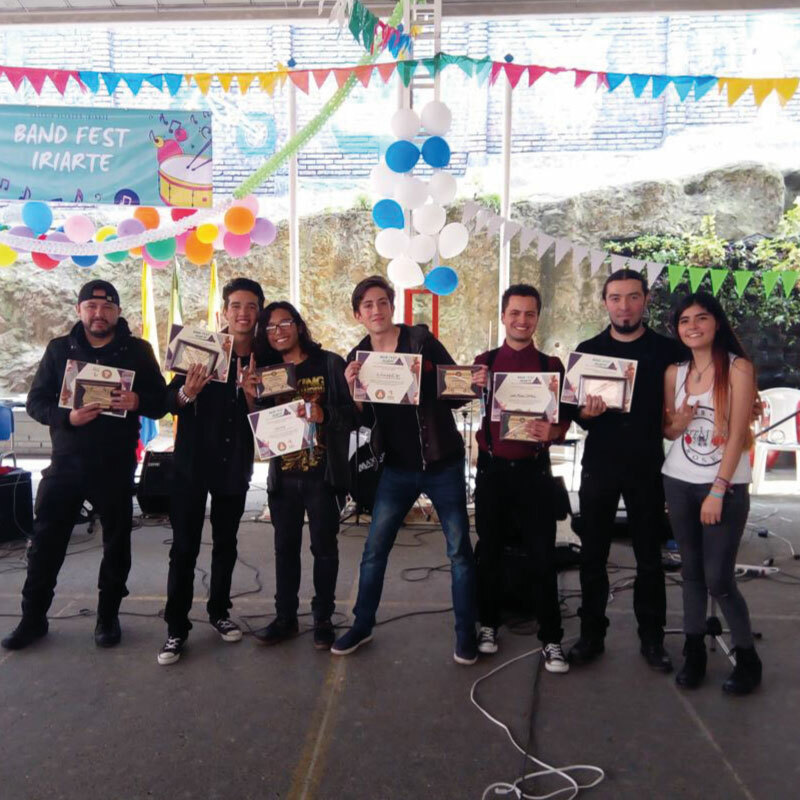 Jovenes en Movimiento por la Cultura y la Paz has the mission to promote the growth, rights and possibilities of Bogota´s youth through actions and works of social character leaded by the same young people in the ambits of art, sport, education, culture and entrepreneurship. In the year 2020, we will be a well-known juvenile organization in district level because of its contribution to art, culture, social inclusion, formation of integral young people and its participation in the public politics in the youth of the city. We will count with the recognition and support of the young and authorities in the different localities, we will count with tools and own spaces where we can develop our mission. We are made up by an interdisciplinary group of remarkable people from different ages, that from their experience and knowledge contribute values element that male our organization a diverse team, full of done task and to be done; in the fields of art, sport, environment and society. 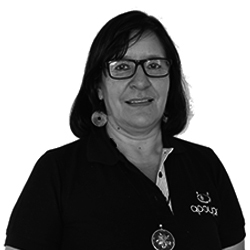 Social worker with more than 30 years of experience in the area of human and social development. 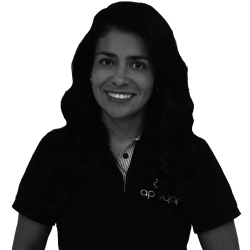 Educator and a reference in community processes. 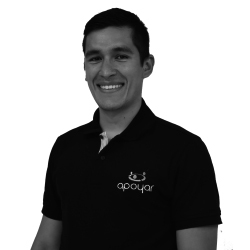 Young leader, Degree in Child pedagogy from the University of Tolima, coordinator of projects of the Asociación de Jóvenes en Movimiento por la Cultura y la Paz, Community Educational Agent of the APOYAR Foundation and ambassador in representation of Colombia in One Young World. Business Administrator from the Universidad Universitaria de Colombia, social promoter and administrative assistant of the Asociación de Jóvenes en Movimiento por la Cultura y la Paz. From our Training School for Sociocultural Trainers we join to the week for the good treatment, promoted by the foundation APOYAR. We build our selves by knowing our own rights and duties for the society. We have the pleasure of inviting you at 3 p.m. to witness an event of national and international folk dances. In association with the Gilberto Alzate Avendaño Foundation. We invite you to launch the official logo of Zaperoco Batucada, a district recognition youth group that represents the transforming force of art and consciousness. 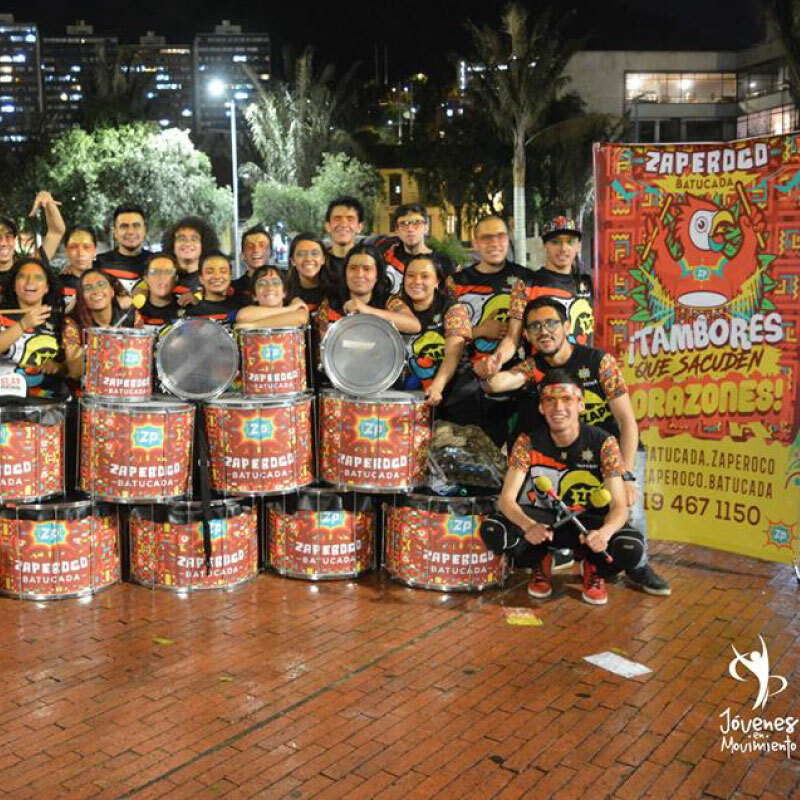 Zaperoco Drums That Shake Hearts! 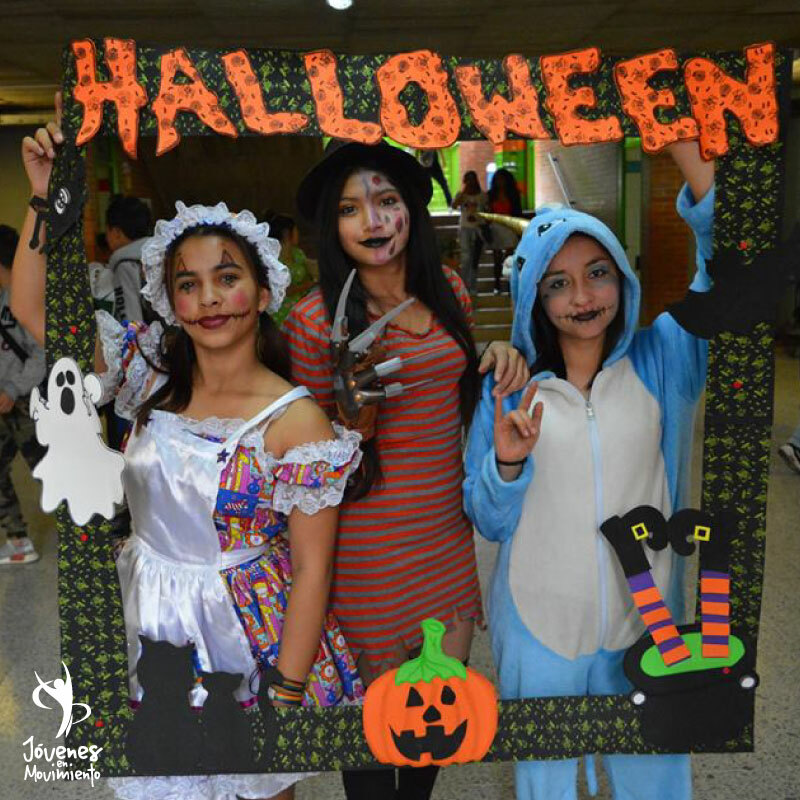 We invite you to participate in the Popular Carnival for Life in its thirtieth version in Britalia, Kennedy. Thank you to the CPC for allowing us to enjoy this beautiful event around the rights of society, in defense of a dignified life and resistance. collective. 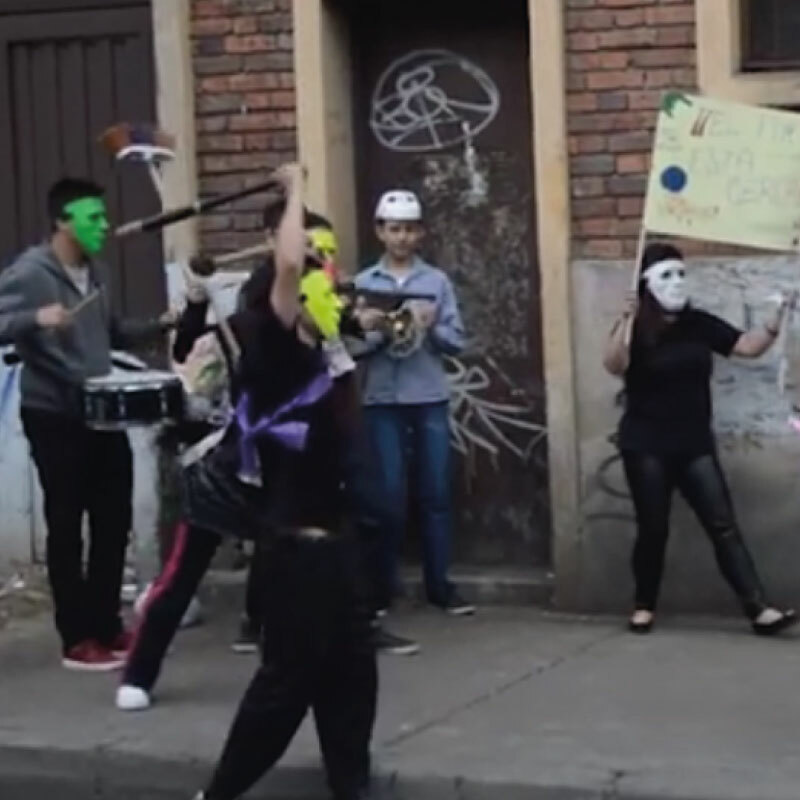 We invite you to a pedagogical campaign in the barrio las cruces for the care of the environment and the appropriation of public space. Caring for the territory and the environment is taking care of ourselves. Training School for Sociocultural Trainers. Sowing peace in the communities. We invite you to the IED Alfredo Iriarte making artistic makeup for children and young people. This type of work brings the joy and spirit of human collaboration to the territories that need it most. Compliance Requirements for Non-Profits Entities. Just a few more steps to be part of this family, remember to pay attention to any information.